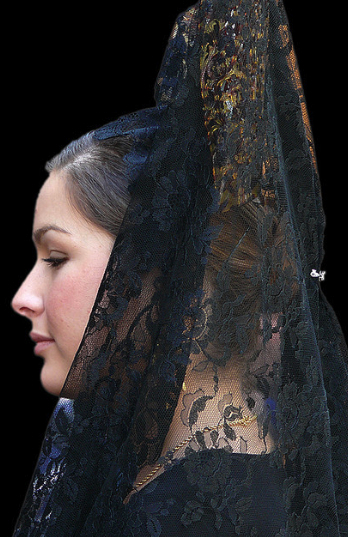 Mantilla is a lace scarf or shawl usually worn over a high comb called peineta. It belongs to Spain traditions but is worn in many other countries. 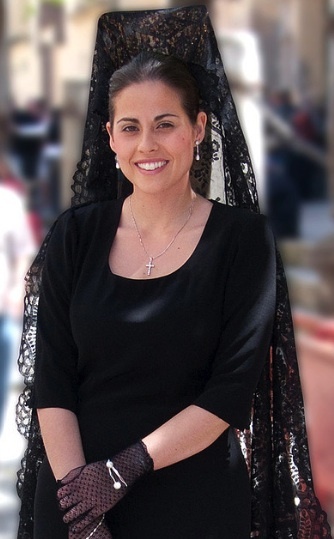 Mantillas are made of lace or sheer fabric with lace trim. over a high comb or tiara for special occasions. and beautiful peinetas with classical black attire. cool! i love spanish traditions!